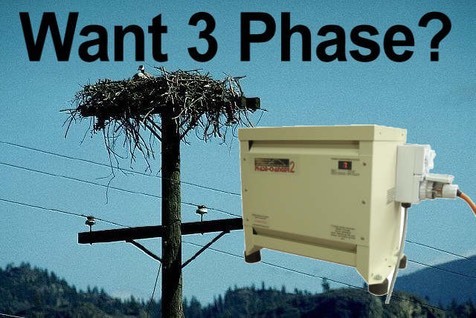 With over 10 years as Australia’s most experienced single phase to three phase converter manufacturer and with many thousands of successful installations, you can be assured of a quality solution regardless of what your need for 3 phase is. Being able to draw on so much experience and with the most advanced, efficient and functional AUSTRALIAN converter on the market, we stand behind our technology and look after our customers. Converters can be a significant and important investment and we dont take shortcuts. We dont aim to be the cheapest option, but we do aim to give the best at the fairest price. The experience is remembered well after the price is forgotten, and while we may not have got everything right over the years, we do care and take a personal interest in every job and every customer. 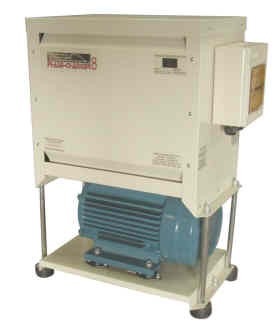 The Phase Changer series of microprocessor based controlled converters gained prominance particularly after being featured on ABC TV's New Inventors, and we were snowballed with enquiries and orders which meant increasing and training staff to keep up. 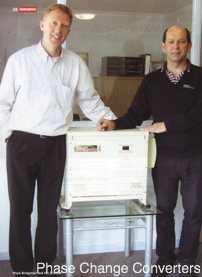 At the same time, doors opened in other countries and we ended up manufacturing the same converter range in China for distribution in countries such as South Africa, Vietnam, UK, New Zealand, and in China as well. The downside was that the founder was prediminantly working overseas, and the original Australian business, which was still very important, was not given the attention it deserved and particularly after the downturn of the GFC, with significant staff and overheads, the business struggled, but continued. Today Phase Change Converters has been restructred and is purposely a smaller niche business that doesn't carry the overheads that places huge pressure on a business to make every sale. The overseas business has been dropped, and the focus is on the Australian market. Today you deal directly with the founder, someone who really cares about the business and having happy customers. Mark and Ian continue to work together, improving the technology and creating new associated products that provide the best solutions available. We are located in Pakenham, approx 65km South east of Melbourne just off the M1 Pakenham Bypass. Everyday we send our Australian Made converters around Australia via TNT.